RAMTHA, SPIRIT OF LIGHT OR SPIRIT OF ERROR? Ramtha is a Spirit of Light of the Plane 5.6 who gave messages of Light to Judy Zebra Knight, (Judith Darlene Hampton). Unfortunately she also distorted the messages she received making her books detrimental. The case of J.Z. Knight is similar to what happened to Lee Carroll who channeled erroneously to Kryon another Master of Light. The tragedy of unbalanced channelers is that they distort the messages because they have preconceptions, they have ego and they end up channeling entities of error in the end. When the channelers distort the messages of Light, eventually the Masters of Light stop giving messages because they respect the Free Will of the channelers, hence the channelers start channeling entities of error and spreading messages of error that a Spirit of Light would never say. Interlocutor: I’ll continue with another case that maybe has similarities with Blavatsky. I refer to the Entity called Ramtha. I read one of the books that was dictated to the medium J. Z. Knight, and the truth is when I read it, I deduced that the Messenger was a Spirit of Light, and that the nonsense was in fact caused by the channeler. 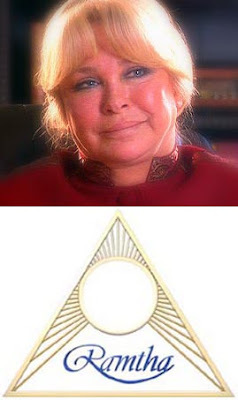 Ruanel: You are not wrong because Ramtha is an Entity of Light of the plane 5. Interlocutor: Did Ramtha embodied in Lemuria as it said? Ruanel: It embodied in Lemuria and in other old cities, for example the one that later on would be Tebas 3100 years ago. Ruanel: Around 32.000 years ago. Interlocutor: In which sublevel is Ramtha? Interlocutor: It is obvious that it is a high level Entity. Concretely, it is in the same plane 5.6 that you are. Interlocutor: Is the channeler of Ramtha the one who has distorted the messages? Ruanel: Correct, she has distorted them pretty much because of her ego. I’m not saying that she has an overinflated ego, but she has enough ego to interpret in her own way the messages given by Ramtha. She has put many concepts that are characteristic of hers and not from the Spiritual Entity. In the same way that Blavatsky did it, she has corrected the channelings that were pure concepts and she has given another interpretation to them distorting them. Interlocutor: Let’ see if I understand. Is it as if I recorded the sessions whose correct concepts were received by Jorge from you, and because of my ego, I would give a different interpretation and as a result of that, I would be giving another meaning to what you said? Ruanel: Sure, because you consider that what you believe fits better. Interlocutor: Do I do something like that sometimes? Ruanel: No, you never do it. Maybe you change a word because it fits better to what the idea wants to convey, or you erase repetitions that are confusing and they are not clear. You change the style but never the concept. Interlocutor: Is it categorical what you say about what I do or you are encouraging me? I mean in the sense that I don't change anything of the messages because I really want to know it in order to be more careful because if I do it and I may not be aware that I’m doing it. Ruanel: No, you can be cool, neither you nor this vessel do it. Both of you transmit the messages with total accuracy. And write this down because it is very important that everybody knows it. Interlocutor: Did this medium distort the messages of Ramtha a lot? Ruanel: Yes, regrettably she did it. The percentage of error has been very high. Interlocutor: Do you discommend the reading of her books? Ruanel: Yes, because it happens the same thing that happened with the works of Blavatsky, who mixed true concepts with false concepts. They are dangerous books because it is unavoidable that if a book contains truths, the errors will also be taken as truths. We have already said many times that when a book is erroneous from the beginning to the end, there is no problem because nobody falls into the trap, but if the book really has a part of truth and a part of falsehood, it is noxious. It is the system that the spirits of error use. Interlocutor: Were there other mediums that channeled Ramtha? Ruanel: Yes, there were others, a person Sheila, a certain Leyla, a certain Andrews, not very well-known, but all of them have made disasters with the channelings. Interlocutor: Even worse than J. Z. Knight? Ruanel: Yes, much worse. Even worse, the channeler called Sheila doesn't channel the spirit of Ramtha, but a spirit of error. Interlocutor: Well, I believe that this matter is clear. This entry was posted at Tuesday, January 05, 2010 and is filed under Who are they? . You can follow any responses to this entry through the .